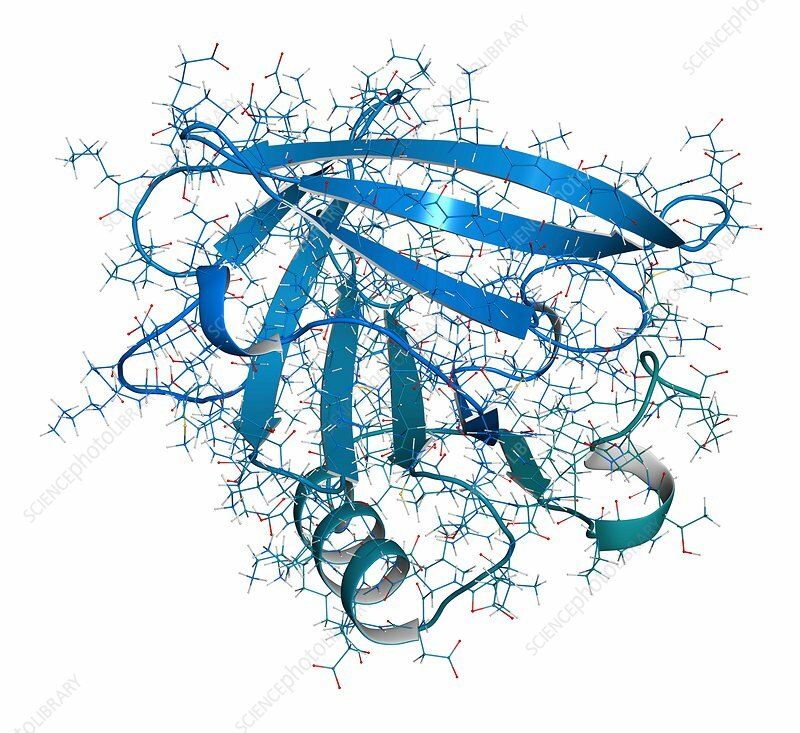 Bovine beta-lactoglobulin protein. Major whey protein, present in cow milk. Important food allergen. Combined wireframe and cartoon model. Cartoon and carbon atoms: backbone gradient colouring (blue-teal); other atoms: conventional colour coding.